Regardless of age, extra “fullness” or fat accumulation beneath the chin produces a “double chin” effect. Although you can choose to undergo surgery to correct this, a non-surgical and minimally invasive alternative is now available that helps eliminate the double chin called Kybella™ injectable. 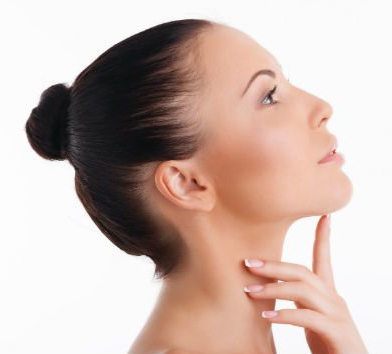 Kybella is FDA-approved for treating moderate to severe submental fat (double chin) in adults. Kybella is made up of a deoxycholic acid that helps absorb fat and is naturally found in the body. This treatment returns definition to your profile and eliminates fat cells when injected into the chin area. When people undergo liposuction or facial surgery, excess fat in the chin is removed, but you also must face extensive recovery and healing. If you decide on Kybella™, there is no surgery, minimal pain, and you can return to normal life in a timely manner. Your individual conditions will determine the extent of treatment with Kybella. In each session, you will need multiple injections. Normally, you will also need two to four sessions for the results you are looking for. After assessing your individual needs, Kenna will create a customized treatment plan for you.